Is your suitcase always bursting at the seams when you're heading out on a trip? Here are a few hacks that will help you pack more efficiently. 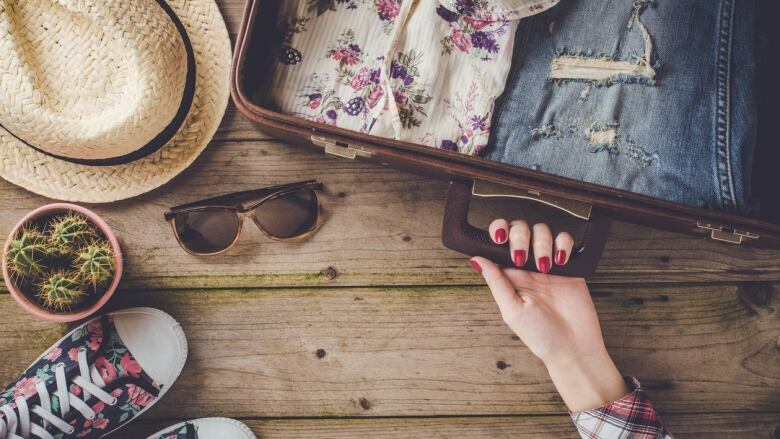 Is your suitcase always bursting at the seams when you're heading out on a trip? Are you always stuck waiting at baggage claim while everyone else sets off with their carry-ons? You're not alone. So, here are a few tips and tricks that will help you take the stress out of packing — and do it more efficiently. You've probably heard of this one, and it really does work! Rolling your clothes will not only save you space in your suitcase, it will keep your clothes from getting wrinkles. When rolling, fold shirts in half keeping the sleeves as flat as possible. Roll shoulder down. If you do get a few creases, hang your shirt in bathroom while you shower. The steam should release the wrinkles by the time you head out. Note: for delicate items, like silks or collared shirts, we do still recommend folding over rolling. If you've ever had any kind of toiletry explode in your bag you're probably deeply scarred. Here's something that will help prevent any further trauma: take off the lid and put a small square of plastic wrap on the opening. Then, put the cap back on and you've simply just reinforced it to avoid any possible shampoo explosions. Also, travelling is all about being thrifty, so why not collect the mini shampoos, soaps and conditioners from your hotel rooms and use them as travel size toiletries the next time you pack! If your shoes are going to be taking up precious space in your bag, you might as well use them as storage! Stuffing socks, underwear and toiletries inside will help to maximize your packing space. You can also place sunglasses in your shoes to help protect them. Once you've stuffed the insides of your shoes, you'll want to cover them up on the outside so that the soles don't get your clothes dirty. The best way to do that is with hotel shower caps! Always take the shower caps and pop them over your shoes before you pack them. 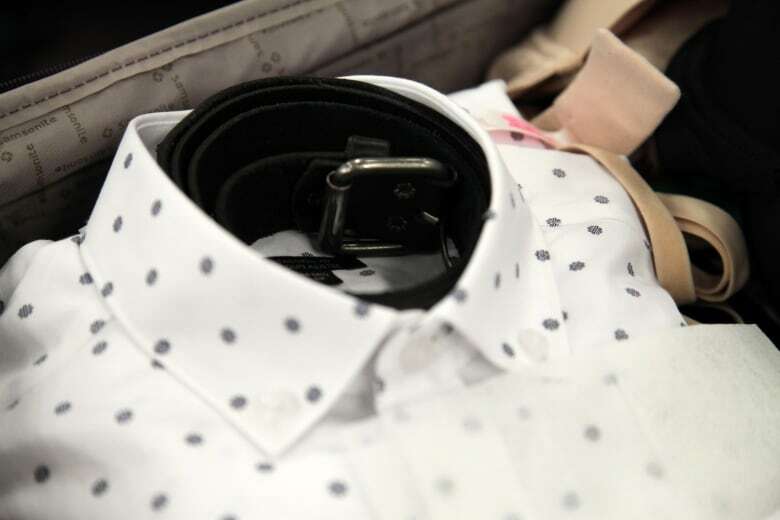 When it comes to your collard shirts, you don't want to bend or ruin the stiffness of the fabric around the neck by squishing them in your suitcase. A great solution is to take your belts and loop them inside the collars of your button-downs. This will keep them crisp while freeing up room for other items in your bag. When a suitcase is open and laid out on the floor, we tend to put the heavier items on the bottom and the lighter ones on the top, right? But, when you zip it up and roll it out the door, the top isn't the top anymore. So, try placing heavier items like shoes, toiletries and curling irons right beside the wheels of your carry-on. That way, when it's standing straight up, the lighter items are still on top and wont get crushed. Do you ever just throw your bras into your suitcase while packing and then open it to find them bent and tangled? If you stuff your socks and underwear inside your bras, you'll save room in your suitcase and it will prevent the cups from folding inward! Once you're all ready to go, throw a dryer sheet or two inside to keep everything smelling fresh. If you have any extra room, bring a pillowcase for your dirty clothes to keep them separate on the way home.